Backstreet Boys had my respect for the '90s bops they used to make, shame they lost it all over one sell out track that is by far the worst single of 2019 so far. 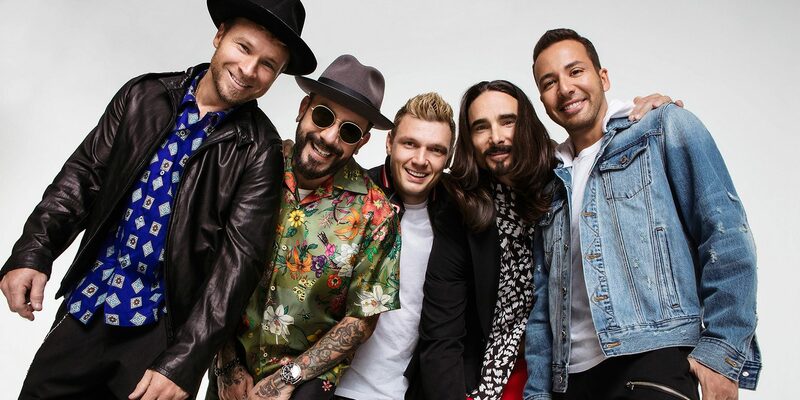 If ‘Breathe’ is anything to go by, the Backstreet Boys should call it quits after their next album next week. I can appreciate pop music, and the heritage that the Backstreet Boys have, with songs such as ‘Don’t Go Breaking My Heart’ and ‘I Want It That Way’; however, the reason why those tracks worked was they were a new sound back in the ’90s and ’00s, but now in 2019, really? There is nothing new about ‘Breathe’ as it sounds like the band are gasping for air, trying to stay afloat in a sea of younger, more inventive pop groups. They’re in the boat Take That were in until they reinvented themselves; band need to evolve to survive, and ‘Breathe’ exemplifies how evolution and growth are needed. I know that the heyday for Backstreet Boys was 20 years ago, but so was that of Take That, Robbie Williams and Kylie Minogue. When the aforementioned revived their music careers (probably because they ran out of money), they changed up their sound to a younger audience, while keeping a signature sound from their glory days. ‘Breathe’ just sounds like the Backstreet Boys got old and given up on their careers. Their new sound probably excites older crowds, but provides nothing to a new listener. Onto the track itself. It’s so slow and doesn’t fit with what we know about Backstreet Boys. Normally, whenever I listen to a song for the first time, I’ll get some sort of chill, even if the song is bad. However, nothing from ‘Breathe’. The lyrics are so meaningless and generically inspirational that there is nothing new about it; the song is a monotone drone at best and has no narrative. It feels like there was no effort put into the track and it shows (the majority of the choral lyrics aren’t lyrics, just noises). It just shows how the mighty fall over time. I’m gonna go back to listening to ‘I Want It That Way’ and forget ‘Breathe’ ever happened. If you hate yourself enough to listen to it, ‘Breathe’ is available now via Sony Records. I complete agree with you. He missed the whole point of the album and the song. I have been a fan of them for years and this new album is even better than the other ones and I love every song. I listen to the whole album daily. That’s why their fans stick with them is because they are true artist and can really sing. i agree. i bloody love those backstreet boys and this bogus boy clearly doesn’t like these backstreet boys. if i was this boy i would be getting back to what matters in life; spending time with my beautiful boys in their backstreet. i love you.